2018 has been a year of big changes, to say the least. As I sit here now, I’m taking a bit of time away from planning the biggest move I’ve made since moving to the west coast all those years ago. On January 16th I will depart for Seattle, where I will be working for Amazon Web Services starting on the 21st. It’s an unexpected end to a difficult few years. As some of you know, towards the end of 2017 I sort of hit a wall — work wise, personally and financially. Much of this came to a head during a rather difficult trip to New Zealand for which I had high hopes in regards to all of of the above. I returned home and decided that continuing as I had been going was no longer viable. I re-engaged in different ways, and started to refocus and rebuild. Many friends think I withdrew completely from life and I know some reading this were not happy with being cut off. My apologies for that. I decided that the focus had to be on me for a while, and that meant cutting a lot of things out of my life. My social media presence shrunk significantly, my “friend’s lists” got cut down to a bare minimum, and my primary participation became cat pictures. It was the right thing for me at the time. At work, I had already begun re-orienting my career back towards my long-time interest and expertise in data, and began to focus both my client work and my personal projects in that direction. Along the way, I started using AWS technologies, because — let’s be real — why would you buy a $1,000 piece of hardware when you can lease it by the hour for pennies?. In March I gave my first presentation at a major industry conference, speaking about public data initiatives at the SoCal Linux Expo (SCaLE). While the topic was a more reflective of projects I had done before than what I where I expected to be going, and I was not happy with my on-stage performance, the experience was valuable. More valuable, both in terms of my own experience and the recognition I received, was the lightning talk I gave a few hours later about failure in technology. Why anybody wants to admit they know me after this one is unclear, but they do and I have been asked to give it two more times since. Also at SCaLE, a couple of friends recommended that I dive deeper into the AWS lake. I’ve got to call out Corey Quinn (@quinnypig, seriously, follow him!) for pushing me in this direction, or at the very least ridiculing all other options to the point where it made the most sense. 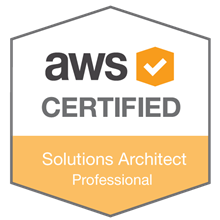 I spent much of the spring and summer doing a handful of AWS projects, and became certified as a systems architect, developer and big-data specialist. The phones started ringing, the emails started coming in, and they haven’t stopped. Other professional events led to new connections as well: PyCascades, SCaLE, PyData LA and re:Invent among others. I’ve had quite a bit of professional interest and in the end, three solid job offers. Until a couple of weeks ago the plan was to take a job here in LA, use that work as a springboard to other opportunities, clean up my place so it could be used as a part-time shooting location for photos/commercials/etc. as a source of side income, (Because, why not? I’ve had multiple offers…) and other than no longer being an independent consultant, not changing my life too much. 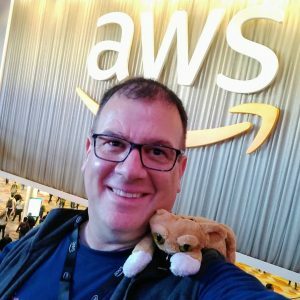 Shortly prior to heading to Vegas for the annual AWS “re:invent” conference, I was contacted by a recruiter from AWS. Would I be interested? Sure. A few days later, I was on the phone with an engineering manager there, and then was invited up to Seattle for a full day of interviews. I made my plans from the AWS certified lounge at the Venetian where I was already able to have a couple of informal conversations with potential future work-mates. The trip to Seattle was a comedy of travel errors, but I made it in one piece. I was sure that I had completely screwed up at least one and maybe more of the six interviews and returned to LA convinced that I’d be remaining here. As usual, I’m my own worst critic and if there’s one thing I need to change in 2019 it’s that! While I was visiting with my mom in New York less than two weeks ago, the AWS recruiter called to offer me a position as a Senior Program Manager on one of their technical teams. True to their reputation, we were able to wrap things up to my satisfaction in just a few hours. I returned to LA, not to start a new job but to start packing. Along the way, as I’ve worked my way out of the hole that was 2017, there were some great personal moments. Five members of “the gang” from high school got together in Vegas over the summer, saw a laughable minor-league baseball game, made or lost money at the tables, had good meals, got sunburned, played cards in the room and did everything else anybody who knows us would expect. We made a new friend in Ramiro. Looking forward to doing it again next year too! I got back on my photography game this year as well. The little Fuji I got before my New Zealand trip in late 2016 got a major workout as did my workstation and even my old photo printer (now dead). I’ve experimented with things I haven’t done before, refined some things that I have, managed to hit about ⅔ of my 365 day photo challenge (going to modify that one next year) and at the end of the year submitted several images to a number of exhibitions. So far none accepted, but I’ll keep trying! In May, Jon moved away. He and I have both been mostly in Los Angeles for a couple of decades. He’s now wandering a bit and expects to soon take up residence as an English teacher in an undisclosed offshore location. His departure is at least one of the shocks that prodded me to think about the same. For the first time in a very long time, there will be no Gat in Los Angeles, but we’ll both still visit. Jon also decided that Flash needs to earn his keep as an English instructor. “Flash the Grammar Cat” came to be. Whether we will really be able to monetize my cat remains an open question. So, with the year wrapping up, I’m now home packing. Really, I’m throwing things out more than I’m packing or preparing them for a move. I’ve been in this place for 13 years and there’s a lot of baggage here I’m happy to leave behind. For next year, I’m going to finally and belatedly make a trip to Israel in the spring to see family and friends. It’s the one thing I absolutely protected time for in my discussions with AWS. Everything else will be subject to my work and my life in Seattle. I’ve wanted to explore the North West for a long time. I will be in the perfect place, and may already have a partner-in-crime for such adventures. Also, I’m revising my “365 day photo project” idea and replacing it with something I like better. I’ve been less than fully satisfied with a lot of the photos I’ve made when I was rushing to find something for the day. So this year I’m going to commit to a minimum of one good, finished, fully-post-produced photo every week, with a focus on black and white images. So it’ll be 52 weeks of black and white for 2019. I suspect that the grey, wet weather will work well for this as it always did in other places I lived. I have no plans to speak anywhere yet this year. I will be volunteering at PyCascades in February, in my new home city and they may yet be subjected to one of my lightning talks. I have not heard from SCaLE about this year’s submission and I kind of suspect that means “no.” It was a kind of a long-shot, so not surprising. I’ll be wrapping up my public appearances here in LA at Nerd Nite on January 10th. I’ll be giving a general-public (nontechnical) version of a talk about where our technology environment is going and why it matters: “The end of Moore’s Law: What happens when the greatest truth of our lives ends?” If you’re in LA, please join me there. Also, there will be a party and “please take all my unwanted crap” event at my place on Saturday the 12th. Definitely come for that. Details shortly.